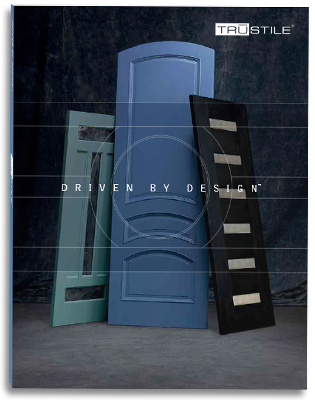 In 1995 we saw a need in the marketplace to transform and innovate the interior door both in material options and the design impact it can have. Since then, TruStile has been changing the door industry with every stile, rail and panel we put through our production line by blending modern technology with old world craftsmanship. Once you see the impact well-designed interior doors can have on a home, you’ll never look at doors the same way again. Design drives every decision at TruStile. We are on the forefront of trends and are always looking for new ways to change the door industry. Our goal is to make it easy for our customers to design doors that fit their projects, not to be limited to the status quo. That’s why we have developed tools for every step of the way and build every door to order to your exact specifications. Our knowledgeable and helpful team goes above and beyond to exceed customer expectations. No matter the size of the project or how complex the design is, we are here to make it easy for you. We also have the shortest lead times in the industry so that you don’t have to sacrifice quality to save time. We use true stile and rail construction to transform rooms in a way that value-engineered doors from other manufacturers cannot. You can see and feel the difference that a high-quality door makes. Our team is dedicated to craftsmanship and to helping you make a statement. Click the video to see how TruStile is making doors an indispensable design element of today’s home. We make spaces more distinctive, authentic and special. We seek to inspire and empower a transformation in interior design. We will redefine the door category by making doors “an indispensable interior design element” and by building a powerful consumer brand. 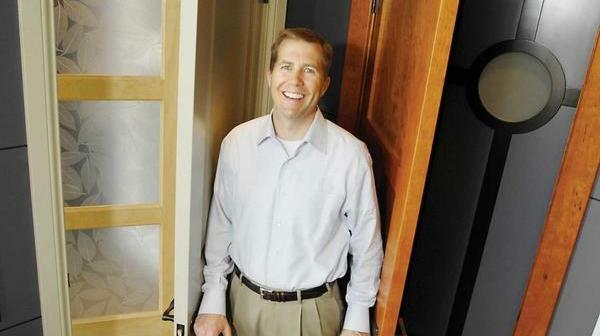 TruStile Opens its Doors in Denver, CO. Founded on the principles of design flexibility and customizations, using the best materials for paint-grade doors (MDF), and offering short lead times for production. 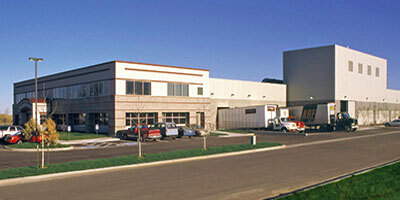 Moves from a small millwork shop to a new modern manufacturing plant. TruStile Doors featured on This Old House with MDF highlighted as the new answer for architecturally-correct doors. TruStile’s MDF doors attain SCS certification; stating that they contain a high percentage of recycled content and fulfill green building requirements. 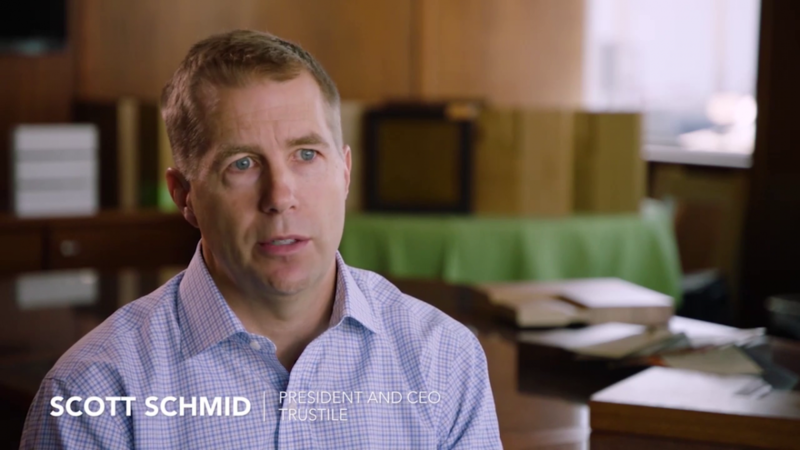 TruStile acquired by father and son team of Chuck and Scott Schmid in private equity transaction. Through this acquisition and their vision, TruStile began to turn into a national brand and an industry leader. 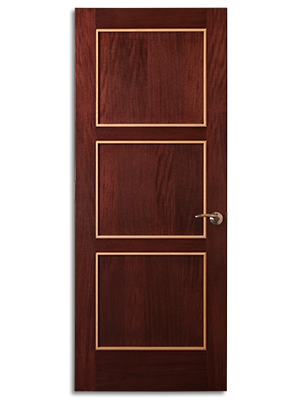 National launch of stain-grade wood doors broadens TruStile’s product offering. 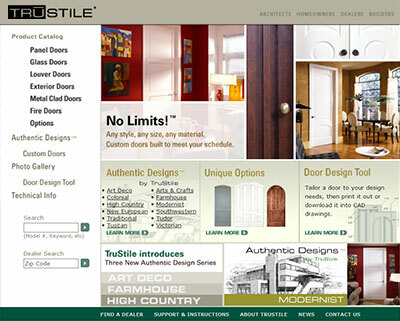 TruStile rolls out a series of marketing tools including launching an industry-leading website, its fully interactive Door Design Tool, and begins visual marketing doors as a notable design element. TruStile continues to expand its door style and panel and sticking options to fulfill market needs and architectural trends. 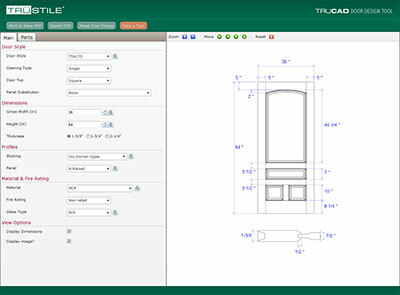 TruStile relaunches updated Door Design Tool and quoting and configuration programs to provide real-time, dynamic drawings for website users and TruStile dealers. TruStile acquires Woodharbor Doors’ 140,000 sq ft facility in Northwood, IA to greatly expand its stain-grade door capacity with the intent of matching all door styles in wood and MDF. Woodharbor wood doors integrated into TruStile product offering and made available in all TruStile configurations and options. 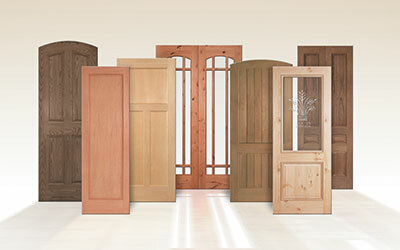 Additionally, TruStile consolidates all stain-grade door manufacturing into its Northwood facility. TruStile adds “Driven by Design” as its tagline to reflect its commitment to empowerment and inspiration within interior designs to make every space more distinctive and authentic. TruStile acquired by The Marvin Companies while maintaining current organizational structure as an independent entity. 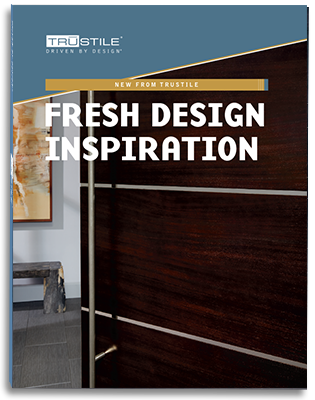 Continuing our design leadership, TruStile launches TMIR series Infinite Rail doors, plank doors, tiered mouldings and expands its barn door line to keep up with demand for modern and contemporary architectural trends. 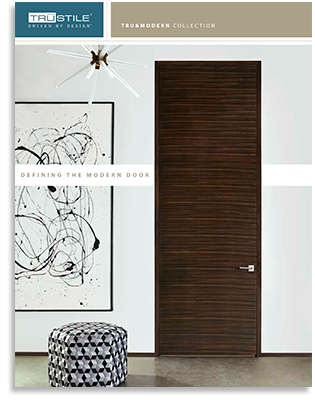 TruStile introduces line of flush wood doors and modern jambs.